This worship series is one of a set written from mid-Summer to the end of RCL Year C in November. Notes are sparse, but I'm hopeful that it's helpful to pastors during a season of the year that can be ... Dry. Ordinary time, which we are in the midst of, can be a time of rich teaching and following specific narratives in the Bible. This series follows the Gospel of Luke stream in the Revised Common Lectionary for six weeks, beginning on July10. In each of the readings given, Jesus is answering questions, telling stories, demonstrating what the Kingdom of God is like and offering the welcome to that Kingdom that only Jesus can give. Ask the question: what is the hospitality of Jesus like? It should lead to another: do I (pastor and church) offer hospitality like Jesus in my life? Sermon Title: What must we do? Mary and Martha - are we just preparing to meet Jesus? Or do we expect a visit to actually happen? Sermon Title: What are you asking for? Jesus, himself teaches us to pray! And reminds us that God is always available. On building bigger barns ... Now, where do I store my treasure? Are you ready to greet the Messiah? Or do you cower in fear? What does it actually mean for us to follow Christ? It may not be pretty, but it’s worth it. For the last three Easter Seasons at FUMC of Arlington, we've studied the Book of Acts, focusing on the building of that first Christian community after the resurrection, leading to Pentecost. The Book of Acts is an important book for the church to study, as it chronicles the early problems, oppression, and successes of the early church and the apostles. However, this year, Year C in the Revised Common Lectionary, the epistle reading was ... well ... too good to pass up. In six weeks, which is rather quick, it takes us through the Book of Revelation. "I can discover no trace that it is established by the Holy Spirit." Or, still others might pour over the details of the book, looking for prophecies of the end, trying and trying to apply the details to the world of today. It's a provocative book. It's imagery and literary content transcend the Christian faith. So, we should talk about it. At FUMCA, from April 3 until the Sunday before Pentecost, we will be. Here's a breakdown of the series, for your use and perusal. As always, post in the comments if you're taking this on! The Book of Revelation has been controversial since its inception. Its vivid imagery, depictions of violence and empire, and cryptic allusions to the return of Christ have made it a book that is easy to misuse and misinterpret. This is hard right now. And it might get harder. This Easter Season we’ll take on the mysteries of the Book of Revelation, and wonder together of the life God calls us to as people of God in the world that longs for the Kingdom of God to break through. So ... Christ is coming again? What did Christ give himself for? Do we, humans, prefer a limited offer of salvation? Does God want to replace? Or redeem? What if it's really all about holding fast to Christ in the most difficult times? Can we stay thirsty for Christ's living water? Greetings to my brothers and sisters, worship planners and leaders, liturgy nerds and readers! Lent is fast approaching ... It starts next week! So, if it's helpful, I thought I would post the series we'll be going through at FUMCA. This year, we're taking things on as a journey ... a hike ... a marathon ... Lent is a time of trial and perseverance that Christ calls us to and carries us through. The series follows the Gospel stream of the RCL. I've included, as always, scriptures, sermon titles, a description of the series for websites/worship guides, and a few ideas to start the sermon. Welcome to The Path, FUMC of Arlington’s 40-Day Journey of Lent. It is a time to accept the call to set aside more time than usual to cultivate our faith lives. Where, in the end, we have deepened our relationship Christ, deepened our relationship with the church, and centered ourselves on the call God puts on each of our lives to be better, do better, love more. At least, this is the hope and the goal. The Christian life could be described as a marathon, a lifelong journey, of study, praise, and service. It could also be described as a treacherous hike, where peaceful streams travel down into dangerous valleys. We are called to exert effort in our life journey with Christ, in our personal journeys, and in the way we bring others along with us. But, as always, when we jump into the race we have Christ as our trail guide, our coach, and ... our map, as the Word of God made flesh. Are there ‘Lent experts’? Are there faith experts? What’s holding us back in our relationship with Christ? What are we filling our bellies, minds, and hearts with that create barriers? Jerusalem kills prophets? Foreshadowing Palm Sunday. Come to the waters … My ways are higher ways. Yes, we do need to do it to follow Christ. Bad theology … Defining ‘God’ is hard. We should, however, know ‘not God’. Eating with sinners … Communion, anyone? God desires all to repent and return home. The center of Luke’s story. For burial, but where is Christ going? The irony of Jerusalem's Welcome. The Reality - Jesus is going to die, for our salvation. Breaking down whatever At-One-Ment means. Communion is for the Community. It binds us together, in the good and the bad, reminding us that we are equally given the grace of Christ. Don't be afraid to read the whole story, break it up throughout the service, and intersperse hymns and anthems. This might be the only time all year that people read/hear the Passion Narrative at one time. Reading the Gospel is much more than preaching it in this instance. Christ did die to save us from our sins, our selves. Do not shy away from this fact by bringing in a happy ending. We need to wait for Easter for that. I would recommend you conduct your worship in the traditional way and not have any kind of postlude or dismissal. Directions can be in your worship guide, but the more abrupt the ending the better. March 27 - Easter Sunday! The Disciples had all of the information they needed, but still the doubted the Resurrection would happen. Our lack of faith doesn’t determine the faith God has in us. Love wins out for us, but it’s just the start of another journey. The banner for the series is designed my super creative Director of Design at FUMCA, Mary Gibson. Advent Worship Resources for the series "From Heaven to Earth"
Friends, this is a bit of a last-minute post, but here it is! Hopefully most all of you are in the thick of your Advent planning - or it's done already! Just in case, here's what we'll be offering this year at FUMC of Arlington, TX. Who is actually waiting to meet Jesus? Who needs to meet Jesus and hasn’t? God’s long-view on deliverance and our work in the meantime. Setting the stage … Luke is creating a backdrop of kings and emperors, while the King of Kings is coming out of nowhere and nothing. Love means telling it like it is, sometimes - J the B. How are we preparing to meet the Messiah? Are we focused on our needs, or the needs of others? Are we heading into a joyful season? Is it joyful for everyone? What do you expect to get from this season? What are you prepared to give? John stood his ground. Trimming back to proclaim the good news. Turning the world on its head … who would’ve thought God would choose a person like Mary to be mother to God? What does it actually mean for the world that Emmanuel would be a human baby, in actuality? How does this amazing gift show how highly God thinks of us? Or what brings out the best in us? Where do we expect to find Jesus? Might that be a dangerous search? Who would be the opposition? The political cost of following Jesus, bending the Messiah to our vision, rather than God's vision. Welcoming the Gentiles to the Kingdom. Here's an outline of the fun with a few (rough) ideas as to where we're going with things! The first church of Jesus, the Acts Church, was a revolutionary community. Not only was it founded on the teachings of Jesus and the work of the Holy Spirit, but it was a community set apart entirely for the glory of God. Yet, it was still in the world – in the world, but sharing in values that were not of the world around it. It was a counter-cultural community, anointed by God to spread the good news of God’s love to the nations. What would that first church say to our church today? The first church lived in community, everything was shared and everybody had enough. What could be more opposite to culture than that? They lived in an attitude of worship, their very lives testifying to the Resurrection. How have we turned from our old lives and back to God? Dispelling fear and ignorance – we can’t live in ignorance any more. Do we ignore the problems of the world, hiding in our sanctuaries? Worse, do we ignore the problems that we cause? Taking responsibility and moving forward. How do we work counter to a culture of bureaucracy that seems to lack care? Or, how do we work within it to make a change? Remembering that Jesus was rejected, so sometimes we, as bearers of good news, will be rejected as well. We can’t fear going against the grain of things. The power of community to overcome obstacles. We’re out in the mission field. Sharing our faith by building relationships with people. Slow evangelism, the practice of hospitality. The Holy Spirit goes where we go. We are the church wherever we are. Baptism of the gentiles – the Kingdom is open to the world. Christ came for the salvation of all, Christ is for the world. Being United Methodist – how is [YOUR CHURCH] making disciples for the transformation of the world? These are all really just ideas from my notes that I hope you might find helpful! "What difference has being a Christian made in your life?" "What difference has being part of the church made in your life?" We're gathering stories from across demographic lines and will include these short testimonies in our worship and post them online as we go. The first clip is below. I'm telling you - you have somebody in your church that can do this for you. The most vital thing that the church can do to bring more people in is to tell its story and the difference that is made in being part of the community. 2014 Advent to Christmas Series "The Promise"
. Everything is designed to get the point across for each particular Sunday and is free to use. Let us know me the comments if any of this is of help to you! This year, I decided to go with the traditional names for the Advent Wreath Candles (perhaps for the first time since I started writing original lighting liturgies). I'll have a graphic for worship guides in the next couple of days! Long ago the prophet Isaiah cried out for God’s mercy to be shown to God’s children – all of us. God heard that prayer, though God came in God’s own time. Even though God may not move in the way we expect or as quickly as we would sometimes like, God still keeps the promises that God makes. God hears our cries for mercy, even today. This morning, as we light the Candle of Hope, may this small light be a symbol to all of us that waiting and hoping for God to come to us again. Let this fire remind us that while we wait for the Lord, truly the Lord is already here. 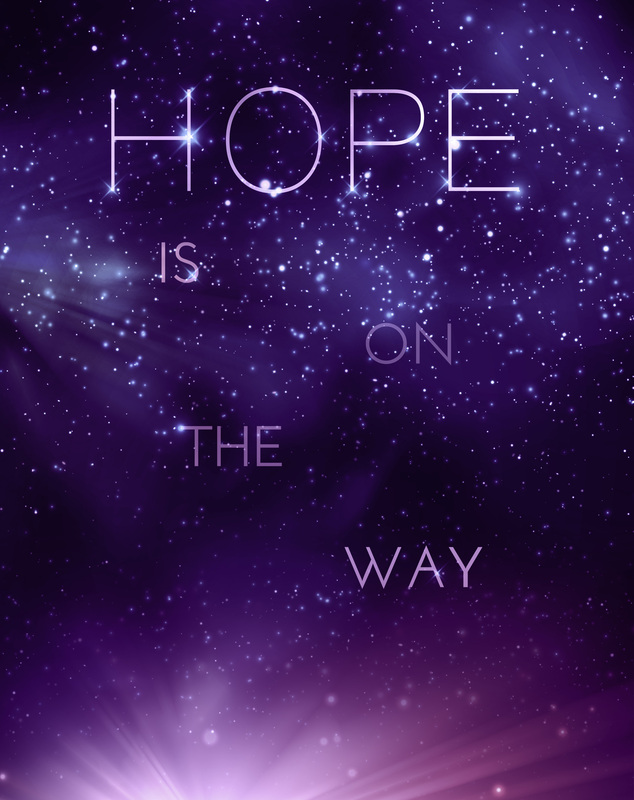 Hope is here! Listen to your children praying! Hear your people crying out for mercy this morning, God of our Salvation. May the hope of Jesus arise in us this morning! Merciful God, we have much to confess. We lose our focus. We forget the reasons we’ve had for the holiday season. We get caught up in being busy, caught up in ourselves, caught up in the world. Help us to focus on you, and in so doing becoming more like you. The world around us needs you, needs people focused on you and ready to meet the needs of those that are hurting and lost around us. Focus us God, lead us with your Holy Spirit, so that when the Hope of the Nations does arrive, we are ready. Amen. John the Baptist’s ancient words, calling us to prepare the way of the Lord were more ancient than he was. He learned them from Isaiah. But in John’s time, Jesus did finally arrive. The Hope of the Nations walking among the people. This morning, we light the Candle of Peace. May we carry the Lord’s peace with us this holiday season, as we remember that Jesus was, and is, real. Let this fire remind us that while we wait for the Lord, truly the Lord is already here. Peace is here! Peace of the Lord be with you today! We have work to do to prepare the way of the Lord! May Jesus make his true way into our hearts, today. Everlasting Lord, we confess that Advent is not a peaceful season, and that it is our own making. We forget that your incarnate love in Jesus Christ wasn’t just meant for the church or the people that call themselves ‘Christian’ … It is for everyone. Can you help us be peace-bringers this season? Can you open our hearts and minds to those that need us to bring your healing touch? To those that need to be introduced to your son, Jesus Christ? To those that need the way to you made plain? Calm our hearts and steady our minds, dear God, that we may find your peace and show it to others. Amen. Mary’s song reminds us that God’s love is truly for everyone, that we are all God’s children, and God’s mercy is equally given. Mary helps us to remember that God’s view is different from ours– that those we might consider the lowly, the outcast, are equal in God’s eye to the powerful and the strong. This morning we light the Candle of Love, reminding ourselves that God’s love is without boundary, it is timeless, it is free to all. Let this fire remind us that while we wait for the Lord, truly the Lord is already here. Love is here! This morning, we are called to sing! To sing of the Lord’s everlasting mercy! To sing of the Lord’s faithfulness! Thank you God for keeping your promises from generation to generation! God on high, we know you love us, but we confess that we forget to return that love. You give us everything and we squander our resources. We spend on ourselves, we pour extravagance on ourselves, all while those around us, in our neighborhoods, communities, and families struggle just to keep healthy food on the table. Let us hear Mary’s song anew this morning, may we be reminded that the ways of the world, where the strong forget the weak, are not your ways. Your ways are higher, God. Help us to bring your Kingdom more fully onto this earth. Amen. As the angel tells Mary not to fear, we hear that call on our own hearts this morning. Because we know that the promise of God, delivered by an angel, and received by Mary, is true. When the world cried out for a savior, that savior did come to us. Not as a king, but as a baby. As we light the Candle of Joy this morning, may we be reminded, with joy, that the Lord loves us so much, that the Song of God came into the world like one of us. Let this fire remind us that while we wait for the Lord, truly the Lord is already here. Joy is here! The Lord is with us this morning! Yes, indeed. The Lord’s joy is here! Are you prepared for miracles? God of Compassion, we are a fearful people. We carry so much with us … hurt, pain, disease, strife. We confess that we forget that you are with us, often in the hardest times. We confess that sometimes this season of joy is less than joyful, because we lose track of you. We need you to heal our hurts God, we can’t make it on our own. Heal us God so we can be prepared to say “Yes!”, as Mary did. Yes, to your call to lift up each other, to carry each other and lift burdens for one another, not just for our friends and family, but to everyone. Help us to receive the gift of your healing, and joyful, love in Jesus Christ. Amen. As we light the Christ Candle, we remember that long ago God’s promise to us was kept! We called on the Lord for salvation, and not only did the Lord bring it, the Lord Our God appeared to us as a baby. A baby to be loved and nurtured in a human family. A baby Messiah that would grow up to preach the good news that all are welcome and loved in the Kingdom of God. Today, we welcome Jesus Christ! 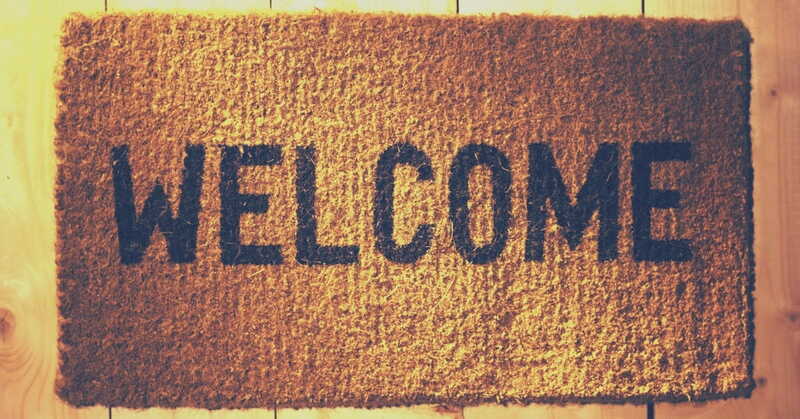 Welcome to you, Lord Jesus! May this light remind us of the hope, peace, love, and joy that can only be found in you! God, we welcome you here. We have been waiting for you, anticipating your arrival, expecting you to visit us today. We need you God, and we are so grateful that you love us so much that you came to us in the form of a child. You place so much trust in us, even trusting a humble family to raise your own son. On top of that, you gift us with care over one another. Yes, it’s a care that we often fail to give. Thanks be to you God that no matter how often we forget to take care of each other, to love each other as you love us, your forgiveness knows no end. Forgiveness, grace, mercy, and love that became incarnate in Jesus Christ. A promise of salvation that is kept. Welcome to the world, Lord Jesus. May singing your songs, sharing in your gifts, and looking to your earthly life bring heaven closer to us this Christmas. Amen. In our church, today it is still Christmas! Glory to God, and peace on earth. Lord Jesus Christ, another Christmas Day has come and gone. How did we celebrate your birthday? With family and friends? With food and gifts? Did we remember that you are the true gift of Christmas? You are the agent of our salvation, the light in our darkness, a fulfilled promise of God. And we, whom you would call friends, are called to share these great gifts, that only you can give, with the world. Remind us that the gifts we’ve been given aren’t ours to keep. Remind us that there’s more than enough food for none to go hungry. Remind us that through you everyone we meet is now a brother or sister. Thanks be to God for the family of faith that began on Christmas Day and continues to grow into the future. Amen. This Advent season at FUMCA we're following the thread of messengers, the people who prophesied and proclaimed the good news the culminated in a fulfilled promise with the birth of Jesus Christ. Our Advent journey will take us from the heartfelt prayers of Isaiah, to the rugged preaching of John the Baptist. Then to the tender joy of Mary, mother of Jesus, as she sings her song of thanksgiving after the angel Gabriel gives her the news that God has chosen her to bear the Son of God into the world. Finally, after the long wait, the promise of God, Jesus the Messiah, comes to us at Christmas. A promise fulfilled. Here is an outline of our plan, with liturgy resources and graphics to come. This is all shared freely, but if you use it within your faith family, just do me a favor and share that in the comments! Isaiah prays, "Oh, that you would tear the heavens and come down ..."
This lesson is a heartfelt plea for mercy, which is unlike many of the iconic Advent scriptures we pull from this prophet's deep words. Where is the Holy Mountain, or the Great Light? Isaiah is speaking for a world that needs a savior, a messiah, a rescuer. Do we not cry for this still today as we wait for Christ to come again? We wait still for the great intercessor to appear. We remind our people though, as evidenced by the Incarnation, that God does hear our prayers. That God does move towards us. John proclaims, "One who is more powerful than I is coming after me ..."
A rough and tumble prophet, John wasn't into the pretensions of his time. He wanted to get down to business, declare a season of repentance, and get people right with God. However, he wasn't the Messiah, he wasn't the endgame ... Jesus was/is. John, the way-maker, is preparing the people to meet Christ, for real. John starts the race, but Jesus finishes it. So, the question may be, still today, how are we making the way for Jesus in people's hearts right here, right now? Isaiah had cried out to God for mercy (as had many Israelites), and here mercy is, gifted to Mary to bring into the world. The special thing, though, is that God is buying into the human experience. Not only will God come down to earth and to our rescue, but God will do so by coming into the world the way all humans do. You might say, "God has skin in the game." And, of course, this is Mary's song. It's a riff on Hannah's song from the First Samuel, but Mary makes it her own. She's prophesying in a way, singing the themes that are the Gospel of Luke's central message: the world as we know it is upside down from here on out. That is, God's heart is for the lowly, the tread upon, the outcast, the ill, those who have no way out in society. Mary is one of those people, and here she is, soon-to-be Mother of God. "Nothing is impossible with God ..."
God makes it happen for God's children. The world needs a savior, and a savior is sent. Not on a flaming chariot with an angel army as backup, but as a child. However, the approach to Mary needs to be made, and Gabriel gets to make it. Angels in the OT aren't bringers of joy, on the whole. The Israelite history with angels is pretty scary stuff, so it's no wonder that Gabriel first tells Mary not to fear. The Lord is with us, we don't need to fear. Do we fear things this time of year? Loneliness? Money problems? Brokenness in our families and relationships? Are there things in our lives that we find impossible? Is God there to help us find a break through? The Incarnation is proof to us that God is ready, willing, and able to work miracles. Mary was brave enough to say "YES!" to God, what about us? This sermon is so easy, but so hard. How do you bring something new to the Christmas story? Do you even need to? The awe, wonder, and praise wrapped into these twenty history-changing verses are timeless. The joy of the angels, the shock to the shepherds, the love of the holy family. But perhaps the greatest thing of all: God was always on the move to bring us Jesus, and God is still on the move in the world today. Karl Barth wrote of the incarnation, not just that Emmanuel means "God with us", but also that "God does not want to be without us." That is the Good News of Christmas! "My eyes have seen your salvation ..."
The Song of Simeon rounds out the three songs that open the Gospel of Luke (Mary's Magnificat and the Song of the Angels being the other two). Most people may know the Nunc Dimittis, 'Let your servant go in peace', set to music, but it doesn't give much of the scriptural context. Simeon had been waiting, and waiting for the arrival of the savior, having a witness that he would meet the Messiah from the Holy Spirit. What a gift Simeon received - to have tangible proof that God's promises are true. We humans, some 2,000 years later have to take to these stories on faith. However, the point should be made more often that while we don't see the Human One in the flesh before us, we, the church, are the Body of Christ - baptized to love and serve others as Christ did. In other words, others should be able to see Christ in us. In the aftermath of Christmas and before the New Year, what can we do to better show people that we know Christ was/is real? Do we bring good new to the poor? Let the oppressed go free? Help people shake off their spiritual blindness? Proclaim the time of the Lord's favor on the whole wide world? When the earthquake struck Haiti in 2010, the church I was serving in Louisiana did something monumental. We cancelled Sunday school the following Sunday and took a mission trip as a church to our fellowship hall where we, as the church, packed UMCOR Health Kits to be shipped to Haiti, via UMCOR's warehouse in Sager Brown. In one hour, 400 people came together to back a 2,000 kits or so. For that church, offering an opportunity to provide that kind of relief was second nature. When Katrina hit their area of LA, UMCOR was quickly on the scene with a trailer of bottled water and flood buckets, essentials for nourishment and hygiene when all of those things most people take for granted were nowhere to be found. In response to the generous outpouring of God's love through God's people it became one of the most mission-oriented churches in the area. That morning three years ago was the genesis for our worship service this last Sunday. I offered up the preaching time for our contemporary service to take on a missional experience in the fellowship hall where we worship every Sunday morning. Our missions committee gathered supplies over the last several weeks, getting buy-in from nearly every small group ministry of the church. We had the supplies to back 300 health kits during worship, and that's exactly what we did together. It's special to have a multi-use worship space, where we have the ability to create a hybrid experience of worship and mission in the same place. We began with the elements of our normal worship, with song, prayer, and offering. I offered a short devotional and then we moved into packing the kits, children, youth and adults walking down the assembly line together as a family. A multi-generational mission activity, and it took about 30 minutes in total to pack the 303 health kits. It was slow to start as people found their rhythm, but completely worth it. People didn't get impatient. People helped our children. People got to work, bringing together service and worship. After all, don't we call it the worship service? Don't we refer to our orders of worship as 'the liturgy' - the work of the people? We had to pause in the middle of the packing to offer Holy Communion and formally conclude the worship service, but by the time I'd gotten through the benediction, all supplies had been packed and worship clocked in at just over an hour. It was epic. It was moving. It was fun. Initially it felt like a risk, but then it just felt like it was something the Spirit was calling on us to do. 303 Health Kits were offered to the world, for the Glory of God last Sunday in worship at FUMC Arlington. Is that radical hospitality? Risk-taking mission and service? Maybe both, but most of all, it was just right. Think about it - we're always trying to find ways to get people to go somewhere, and that is very important - to go places and do good works. But not everyone can do that. Are there more ways to bring a mission experience to the people? This was an easy one, and too easy not to pass on. How is your church innovating ways to create multi-generational mission experiences? Yesterday we celebrated the Baptism of the Lord in all of our worship services. Although my main assignment on Sunday mornings is to preach at our contemporary service, I also float around to our other (traditional) worship services as a liturgist and occasional preacher. Our second traditional style worship service serves communion every week, it's a different layout than most traditional services to accommodate the sacrament and it was something we had planned around for our liturgy of baptism remembrance. Yes, I realize that our Book of Worship liturgies highly suggest that you serve Holy Communion following the remembrance, but ... well ... logistics. So, we stuck faithfully to the service of baptism remembrance in the UMBOW, nothing fancy. Our pastor went through the liturgy and poured the water. I then walked the basin up the center aisle, stopping every few paces, calling on the people to remember their baptisms and be thankful. Pretty standard stuff! I then walked the basin back up and place it on the altar table to proceed with communion. That's when and awkward miracle happened. I had the center station and we were going through the line at a good clip. No nonsense whatsoever. But then, a woman who I'd never met before stepped forward in line. I'd already broken off a piece of bread for her when she looked at me and said, "Can I go up and touch the water? I just want to touch the water." I glanced back up the stairs to the basin and then back at her and said, "Go right ahead." She quickly, boldly, walked up the steps and touched the water, and walked back down to get back in line for communion. The choir member serving with me looked slightly mortified while this was going on and asked me what she was doing. I just looked at her and shrugged, "She just wanted to touch the water." Sometimes the Spirit calls on us to drop the formalities for a second. I would never say that our traditional services are too traditional or rigid, but they are 'high church' to be sure - and done very, very well. But sometimes, we just need to let people touch the water. I was proud to be this woman's pastor yesterday, even though this easily could have crept into worship blooper territory. It was a bold move to walk up those steps and touch that water in remembrance. Things like that can happen when a person is in the Spirit. I'm thankful to have been a part of that simple, awkward, moment. Snowday Home Worship for Advent 2! We're iced in here in North Texas, so my wife and I decided to offer a little worship from our home since many churches, including ours, were closed this morning. It's a little chaotic, as any worship that includes a toddler will be! So, it's pretty rare that I'd ever endorse a business. In fact, I don't think I ever have. So this must be pretty good, right? I'd like to introduce you to a group of guys that have dubbed themselves the Rethink Creative Group. They have a goal, and that's to be a full-service creative hub to get the Gospel News into the world. They're uniquely aware that most churches in Christendom are awful small. Most can't afford truly original graphic design, website design, videography - but they can generate it for any local church. They even help pastors generate topical sermon series complete with visual content. Maybe one of the more unique things they offer are their custom music arrangements to suit a local church's worship needs. In other words, they're an original content generator for any church's context. They have their rates ... But they know their clientele. These guys love the church, and want to serve it - in the universal sense. They provide a service that many smaller churches could use to up their media and worship games. Local churches are often behind the times when it comes to media for a variety of reasons ... Church size, church age, time ... Here's a great option to bring your interaction with media and the church forward. *Full disclosure - One of their founders did buy me a plate of cheese fries last week at lunch. They were really good. I won't endorse just anything for cheese fries, but they do make me pause and think. "Why Rock Star Worship Leaders are Getting Fired"
I'm not going to lie here, I'm both surprised ... and not. I am a staunch advocate of modern worship styles, and all genres that fall under that umbrella, from contemporary to Taize to African and Latin styles ... It's all good to me - when done well, and when used to actively help the congregation get after the heart of Christ. As opposed to the heart of the worship leader. I think maybe our larger mega churches might be realizing that they have an authenticity problem on their hands, hiring extremely talented musicians and song writers with no real training in worship leadership. No real training in Bible study. And probably not a whole lot of skill at communicating with a pastor in helping communicate the message for the week. All while building their own album-launching platforms. That's why I'm not surprised at the trend this author is pointing out ... Though, I'd love to see some real data! But why am I surprised? The trend for a while has been flash over substance in worship. The more secular the better, the more hipster the better. I realize I'm saying that as a mostly hipster-looking pastor, but hopefully you know what I mean. On the other hand, to my worship leader friends - go and get yourself that $100k job! If you're a worship leader, choir director, or song leader, I'd love for you to take a few minutes and complete a short survey for me regarding how you and your pastor prepare worship together. Crossing over to the pastoral side from musical leadership, I had very strong opinions on these matters when I was a worship minister, and I'm just curious about how things go for others! It's anonymous and shouldn't take long. Thanks in advance! Yesterday we concluded our October sermon series on the book of 2nd Timothy. It was great to be able to dwell on this important book of the New Testament, and it was an edifying experience for those in worship to be able to read the letter, essentially from beginning to end in a month's time. At FUMCA, we follow the lectionary, but we spin things a little differently in that we build sermon series out of the selected texts. For instance, during the season of Easter, we followed the Acts stream to study how the early church was build. For the Summer, we followed the Gospel of Luke. Then, in October we switched streams again to 2nd Timothy. In doing things this way, it forces us to deal with the tough stuff and actually have an extended bible study in worship. For instance, in doing a month long study in 2nd Timothy, we were able to pick up a few simple points each week for surviving tough times in ministry. In the first chapter, Paul points Timothy towards his family as a source of an authentic faith. In the second, Paul suggests that if Tim is facing tough times, he can look no further than the example of Paul, who follows the example of Christ. In the third, and beginning of the fourth chapters, Paul tells his student to read his Bible. Not rocket science there. And the fourth, Paul wraps up his life's ministry, reminding all of us to be telling our stories. Through studying one book over a few weeks, we were able to actually go somewhere with the texts. It does take preparation, to be sure. The lectionary is an awesome tool for planning worship, it keeps pastors from just preaching on what they're 'feeling' (not that that's always a bad thing ...). But I do wonder whether we do a disservice to our congregations when we hop from one lectionary stream to another on a weekly basis. Do we avoid tough topics when we do that? Do we avoid the narrative of a book when we do that? As a rookie preacher, I'm just wondering! I also mean no disrespect to my elders here, just asking the questions. Preachers: How do you prefer to structure your scriptural preaching patterns? Congregants: What do you feel you need to hear? Would you rather jump around, or follow a stream? This weekend I've been gifted the task to help lead and structure the worship for a conference-wide discernment retreat for young people in Central Texas and abroad. It's a different kind of retreat, focused on vocational ministry in many ways, but the flip is that we're not fixated on ordained ministry as the only option. We'll have break out sessions with leaders in ministry from our conference and many others to discuss with our young adults ministry in careers in youth ministry, children's ministry, and ordained ministry. We'll talk about the need for educated lay people - that may even want to go to seminary just for that. The point of the whole extravaganza is simple: we're all called to ministry, and our ministry call is as unique to each one of us. What if ... we truly treated all members of our churches as the ministers we call ourselves? That's the point of the weekend as we'll meet, pray, and discover where the Lord is guiding us. At the close of the afternoon worship session, we'll be reading this litany together, as we affirm the call in one another. We thank you, Jesus Christ, for teaching us how to walk in the Way. We thank you, Holy Spirit, both for disturbing us into realizing our call, and comforting us as we follow it. May our Creator, Redeemer, and Sustainer fill us up, as we are sent out.